Movie stars and royalty are often considered heroes by those who find inspiration in their talent, perseverance, generosity and leadership. 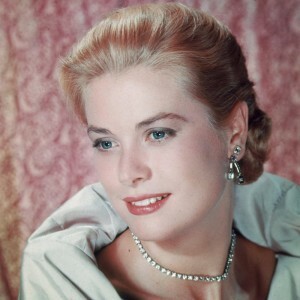 In those terms, Grace Patricia Kelly, who won an Academy Award at age twenty-four and became Her Serene Highness Princess Grace of Monaco at age twenty-six is twice a hero. However, the true heroism of this remarkable woman is both more personal and more profound. In 1951, the Stork Club in New York City was a popular haunt of celebrities from both Hollywood and Washington. Grace Kelly, at that time, was a young actress of stage and television about to begin a career in film. As she dined with some friends and colleagues one night, she was witness to what was an all-too-common event in those days — a woman being refused service because of the color of her skin. That woman turned out to be Josephine Baker, an internationally famous singer and exotic dancer (herself a hero of WWII and the Civil Rights Movement), who, at that time, was a far bigger celebrity than Grace Kelly. With no thought to the possible consequences to her own career, Kelly left her dinner, took Baker by the arm and departed for more welcoming pastures (to their credit, her companions followed suit). She vowed never to return to the Stork Club and she kept that promise. 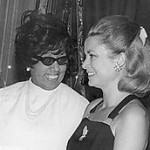 From that night onward, Grace Kelly and Josephine Baker were lifelong friends. The next several years brought amazing changes for Kelly. She quickly became one of America’s most beloved actresses. In 1955, she headed the U.S. delegation to the Cannes Film Festival and there met Prince Rainier of Monaco. The prince knew a princess when he saw one and a few months later he made a reciprocal trip to the United States where he proposed marriage. Josephine Baker’s fortunes, unfortunately, did not fare as well. Branded a communist by the HUAC, likely as a consequence of her charges of racism against the Stork Club, whose owner was a friend of J. Edgar Hoover, she was banned from the U.S. Her luck went downhill from there, but her friend did not forget her. When her difficulties ultimately resulted in bankruptcy, Princess Grace gave her a villa for herself and the twelve multiethnic orphans she had adopted in better times, and offered financial support as well. In fact, Baker’s final show, a glowingly reviewed retrospective performance in Paris, given only days before her death, was financed (and attended by) the princess and her prince. In 1982, Princess Grace suffered a stroke behind the wheel of her car; she died as a result of injuries suffered in the crash. Throughout her short life, she proved herself a true philanthropist, always using her fame and wealth and status to promote the betterment of mankind, work that still continues today through the Princess Grace Foundation. However, nothing exemplifies her heroic character more than that one selfless act of friendship to a stranger, in the days when that was all she had to offer. Rick Hutchins was born in Boston, MA, and has been an avid admirer of heroism since the groovy 60s. In his quest to live up to the heroic ideal of helping people, he has worked in the health care field for the past twenty-five years, in various capacities. He is also the author of Large In Time, a collection of poetry, The RH Factor, a collection of short stories, and is the creator of Trunkards. Links to galleries of his art, photography and animation can be found on http://www.RJDiogenes.com. This is Hutchins’ sixth guest blog post here. His first two, on astronaut and scientist Mae Jemison and the Fantastic Four’s Reed Richards, will appear in our new book Heroic Leadership: An Influence Taxonomy of 100 Exceptional Individuals. Wow, so much more than ‘just’ a movie star turned princess! Her personal anti-racism stance and actions definitely make her a hero! I’d never heard of this aspect of Grace Kelly before. Great article, Rick! ha!I thought i recognized that author. Nice article, congrats Rick! This is wonderful. Also reminds me of Marilyn Monroe and Ella Fitzgerald’s friendship. Thanks for posting! Thank you SO much! This really helped me! I am writing a paper on heros and I chose Grace Kelly. No one sees her this way anymore, so thank you for giving me this info. I will definitely cite you. Thanks!